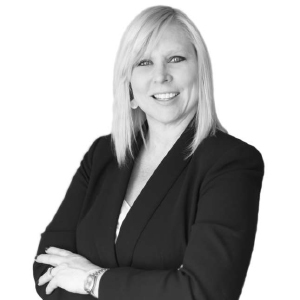 Mortgage Architects is proud to announce the appointment of Tracy Bennett to the Mortgage Architects network, as a Lead Planner out of Kitchener-Waterloo ON. "...the investment MA has done on their back-end systems, tools and CRM, allows me to build my business. This was the defining factor to move to Mortgage Architects." Tracy started in the industry in the late '80s. Tracy moved to New Brunswick and then the US and came back in 2000, where she restarted her brokering career in Kitchener-Waterloo. She worked in many financial and business ventures before returning to the broker channel in 2000. She has been licensed with Mortgage Intelligence for the last 15 years, where she has gained many accolades and awards, and tremendous respect from her peers. Tracy is a winner of many regional and national awards for sales. 2014 was her first year working as a team; previous awards were based on associate or individual sales. Tracy has two sons, who are attending university, which will allow her time to focus on elevating her mortgage business to the next level. Tracy is a finalist for the 2015 CMA Awards for her efforts as a volunteer and community builder. She has been an active volunteer through her career as a way to help and support her local community. We are elated to have Tracy as a part of our network of mortgage entrepreneurs, and look forward to being a part of her continued growth and success.